A charcoal sketch by Cecil Aldin purchased in the 70's I believe to be a lithographic print. This image was scanned and does not show the quality and color of this art work. The paper is a kraft paper color and is clean and even in quality. A better photo will be on the site shortly. 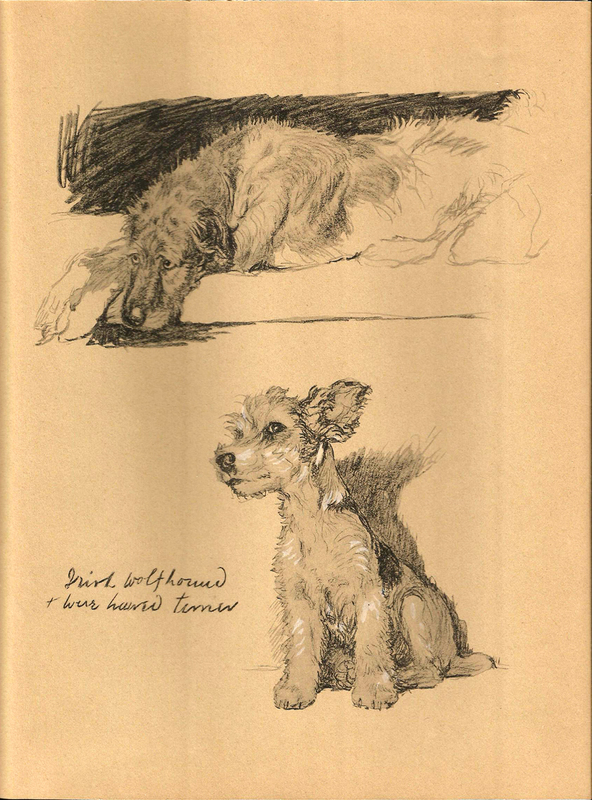 The drawing quality of these two dogs reflects the artist's talent. Paper size 8 1/2"x11".